These little recipes come with suggestions for cheeses that work well with the rest of the toppings, but there are no hard and fast rules. They can be varied anyway you like. If you are having company, you can get everything ready in little bowls and let your guests mix and match their own combinations. And perhaps even create new favourites. Use day-old bread in thin slices and then either toast them, fry them in oil or pop them on the grill. If you love garlic, rub the toasted bread with a clove of garlic. A couple of rubs is enough to get some garlicky flavour without it being too overpowering. Try to include a range of tastes: salty, sweet, sour and umami (a savoury taste). And try to include various textures, as well, to ensure a balance between crunchy and soft. It is the combinations of tastes and textures that make your bruschetta unique! Choose your favourite cheeses and take them out of the fridge 30 minutes beforehand so they aren’t too cold when you use them. Present your selection on a platter of some sort – a wooden board or slab of slate is perfect, but you can also serve everything in little bowls. Most importantly, remember, you can’t go wrong! Have fun with it and make the best of what you’ve got. Don’t be afraid to try out new combinations and see what happens! Can't wait to start cooking? 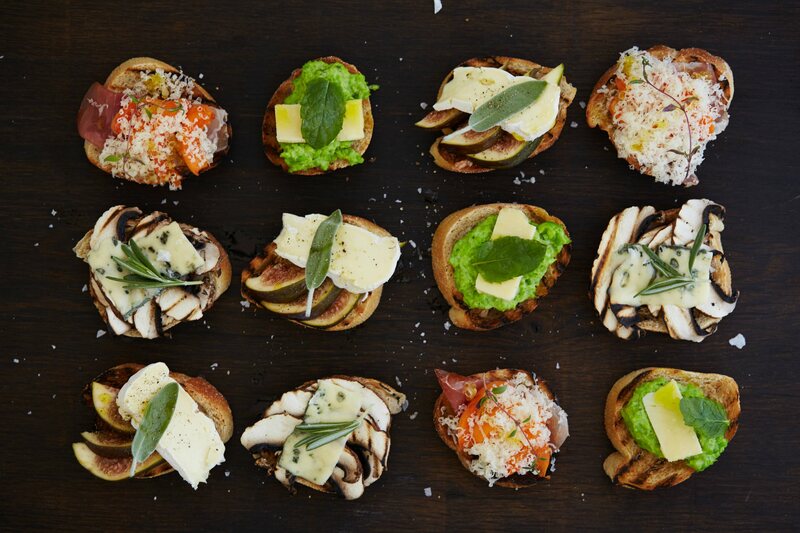 Check out our collection of tasty bruschetta.